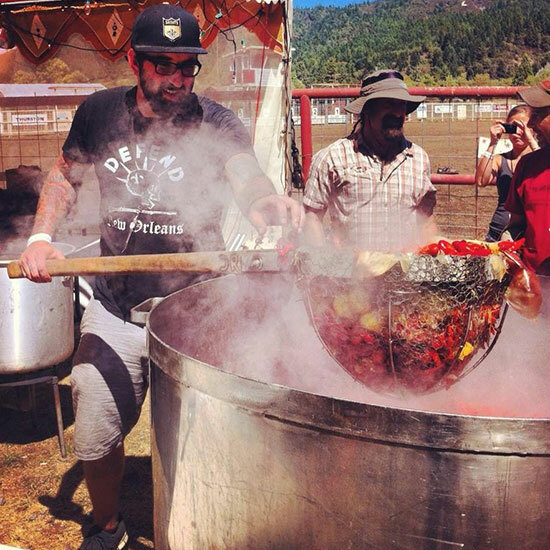 Here are six essential tips for throwing a crawfish boil like a true Louisianan. When Tony and Abby Sharamitaro helped throw a church fund-raiser last summer, they wanted to offer more than just brats and burgers on the grill. They settled on a Louisiana crawfish boil. The only problem: The Sharamitaros live a day’s drive from fresh Gulf seafood. So the morning of the party, a friend drove to the Lambert-St. Louis International Airport and picked up 75 pounds of live crawfish. It had just arrived by special order in the cargo hold of a Southwest Airlines flight, packed into a nondescript white Styrofoam cooler. The Shamaritos—who aren’t chefs, just serious seafood enthusiasts— ordered their crawfish online from Louisiana Crawfish Co., which helped create an industry around shipping live Gulf shellfish. Owner David McGraw says it all started in 1985, when a college buddy moved to the East Coast. McGraw owned a crawfish farm at the time, and the friend, missing Louisiana cuisine, asked him to ship a few pounds. Overnight shipping was still pretty rare, so it took McGraw months to figure out how to mail live crawfish. McGraw says his shipping business blew up when the Internet came along. Then came Katrina. “Louisiana moved out of Louisiana after the storm,” McGraw says. “All these transplants, they had moved all over. They started ordering crawfish, and they exposed people to their culture.” Since Katrina, McGraw says his business has grown by 20 to 30 percent a year, and dozens of other companies have begun shipping live crawfish. Most companies that ship crawfish will guarantee next-day delivery to your door. That’s certainly the most convenient way to begin your boil. It’s also the most expensive, and there’s some uncertainty in whether your bounty will get hung up at the local shipping center. Instead, ask for airport delivery. It’ll require you to head to the cargo arrival terminal, but if you care about food, there are few things more fun than a special shipment of still-snapping seafood arriving just for you and your friends by plane. In Louisiana, crawfish boils are usually spread out on long picnic tables covered in newspaper, with only an occasional side that hasn’t been boiled with the seafood. If you’re entertaining vegetarians or non-shellfish eaters, consider bowls of red beans and rice, gumbo or jambalaya. You’ll also want dips, which typically include hot sauce, cocktail sauce and the star sauce for any boil, remoulade. If you don’t have a seafood boiler, that contraption you used to fry a turkey that one year will work. Be sure it has a built-in colander. Boiling shellfish is messy, so set up outside, away from anything flammable. Allow for a clear path to the paper-lined table, because you’ll be dripping steaming water along the way. To eight quarts of boiling water, add a premade boil, like Zatarain’s or Old Bay, or about four ounces of homemade Cajun spice mix. Standard crawfish boils include andouille sausage, onions, potatoes and corn, boiled ten minutes before adding the crawfish, which cook for another three. Also excellent boiled with the crawfish: cauliflower, artichokes, whole garlic cloves, asparagus, peppers, mushrooms and any other veg that boils well. The Sharamitaros served their crawfish with a Cajun lemonade made slightly spicy with hot sauce. For wine, go with a white on the sweeter side. Beer works well, especially something with some bite, like an American pale or Belgian farmhouse ale. Throwaway cups also come in handy, because this is one meal where your guests may skip the napkin in between crawfish and another drink.